Found 2 file extension associations related to Basilisk II and 2 file formats developed specifically for use with Basilisk II. 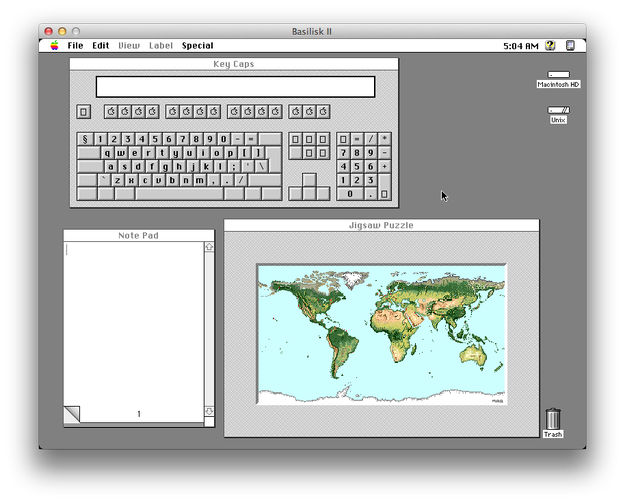 Basilisk II is an Open Source 68k Macintosh emulator. That is, it allows you to run 68k MacOS software on your computer, even if you are using a different operating system. However, you still need a copy of MacOS and a Macintosh ROM image to use Basilisk II. If you need more information please contact the developers of Basilisk II (Christian Bauer), or check out their product website.